i need help how do i assign my mp3 music as ringtones for my plamone treo 650???? if any of you haev the info just send me an email. I purchased the Treo 650 on eBay. The model which arrived was an unlocked Cingular. I inserted my sim card and think it a great phone and PDA, being someone who is used to the Palm software. However, I do not know how to make use of the internet browsing function or the email function My mobile phone contract is with Virgin (pay as you go) but I have received no sensible reply from them which addresses the issue. Can anyone assist please? Oh, for good measure, I should mention that I am an Apple user. S.O.S. My new unlocked Orange Treo 650 is perfect except for one thing: it cannot read MP3 music files from my MMC/SD cards. It does read the Orange try card's video clip with no problem so it is not an issue with the audio set up. Can anyone help? can anybody tell me where can i buy the hot sunc unit of treo650 and at what price needs asap. DO NOT GO NEAR THIS DEVICE or Cingular Wireless. In the past 6 months I have had three TREO 650's none of them have worked. The Phone sonund quality is extremely poor, they rest themselves all the time, and the buttons freeze up. I tired to report it to Cingular wireless they Blamed Palm, Palm blames Cingular. Mean while I'm stuck with a $400 Phone that is worth less and two companies that don't care. I bought an unlocked Treo 650 as soon as I saw one - upgrading from a treo 270. It was perfectly reliable but after anout 7 months of trouble free use it was stolen, O2 my phone company no longer sell the treo and would only send a Sony 910i as "eqivalent". The Sony is poor in comparison, particularly as a phone :-) with an uneccesarily flash but unintuitive interface. I am going to buy another treo 650 - can't give a higher recomendation than that. I have had this phone for about now 10 months.. Only one word can describe is AWESOME. So many features like Video player.. with TCPMP software.. MP3 player.. and Bluetooth.. and SD card reader.. ( i got 2GB card):). The screen quality is grate. I guess the resets are due to older firmware. Mine works like a charm. Tons of apps, games, utils etc widely available, and very large user base and helpful community on the web. My two nags are not being able to assign ringtones without 3rd party app, and no SMS delivery reports. I suggest TAKEphONE and LauncherX apps for an even better user interface. PalmOS may be old, but works fast and is easy to use. To the person who wants to know how to change the language- go to penreader.com & download PiLoc. This app allows you to change the language on the Treo, I currently have mine in Russian. I got mine last June, still I am crazy about this beauty. For the best experience with specially a Treo like mini computers these are the basics guys. Right away out of the box I know we are so eager to play with it but plz DO NOT do any fancy things at first. Do not install any additional software (be wowed you have at least 10000 software title at your disposal and growing for Treo)or sync it with the Palm desktop software right away. 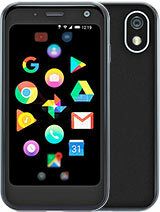 Just USE it as any other standalone ORDINARY PHONE for couplla days. Make calls, take calls, browse the net if possible, add, delete, cut a few contacts, memos, tasks whatever you please but all with the software comes pre-installed. Do not transfer your old PIM data either if you had had another old Palm. Live with your SIM contacts for couplla days. Don't get me wrong on this. This is the best phone/ mini computer in the world and treat it like one. Above is the proven best way to eliminate the phones which has come with manufacture defects or any other software conflicts if you get any. When you are absolutely sure that your new Treo phone is working like a phone only you start adding stuff and sync with the desktop. Get and install the latest firmware (1.28 at least). And stick with your most comfortable settings. Get a at least 1GB SD card so this can be a movie machine. Get TCPMP Player here (http://mytreo.net/downloads/details-651.html?Th­e_Core_Pocket_Media_Player) and This is the only phone I know which can play below all. Be wowed again. DO NOT put unknown alien software to your working Treo even later. Go here, http://pluggedin.palmone.com , register yourself and gett a Treo Simulator for your model. Try unknown software with it first on the computer. Read http://mytreo.net There are tons of info for your Treo. And believe me, I have played with it, have tried a thousand of apps and my darling works like a charm. This is the best phone world has seen yet unless the little clunky big part. So you couldn't possibly go wrong if you buy one. i have one. someone can tell me, how i can change the language? In summary, I gave it two trys with two different 650s and I've had enough headaches! I'm going elsewhere after years of using Palm PDAs! Hope the "670" (or whatever replaces the 650) is completely tested (successfully) before bringing out to market!!!!! May come back some day...You'll have to earn it though! Hey Jon believ me & but the nokia 6680. Its a great fone with a good camera. video recording upto 60 minutes. Loads of applications can be downloaded from the net. Its a 3G fone. Its a bargain.. Just close your eyes & buy it. I am using it for the last 2 monts & I am loving it. Hi, can any1 tell of website(s) dat i can download free softwares for my Treo650? And also can any1 tell me how to perform a soft & hard reset for this set? Cheers! I am considering purchasing either this or the nokia 6680, which one is the better? I want a phone with a GOOD web browser, GOOD camera and video recorder and a huge variety of features, which is the better phone for me? Also can the nokia 6680 have satnav on it?